The power of storytelling isn’t just good for selling novels or screenplays. If you harness the power of data unification, behavioral analytics, and the customer journey, you will be able to tell your user’s story to successful conversion. According to a recent eMarketer report, retail e-commerce sales are projected to pass 27 trillion dollars, accounting for over 14.6% total sales worldwide. As e-commerce keeps growing and growing, the resulting surfeit of usable data keeps getting larger. More often than not, surviving in the e-commerce business means knowing your customer’s needs and behavior. For these reasons, intuition is no longer a viable approach. Using data, specifically behavioral data, is vital to the success of your business. If you’re not optimizing your service for individual users and segments, you’re more likely to lag behind your competitors. In this white paper, we’ll discuss the step-by-step guide to wielding the true power of behavioral analytics and the customer journey for optimizing your ecommerce conversion rates. By unifying your data into a data warehouse and collecting as many metrics as you possibly can, you’ll be opening up new avenues and insights into your users. If you funnel all of this data into customer journey maps, you’ll gain valuable information about what leads your users either to conversion or to churning. Tracking and segmenting based on behavior, rather than identifying features such as location or browser type, can lead to higher-quality interpretations of why your users are converting. These user stories are incredibly helpful for understanding how and why your users convert or churn. By following the steps featured in this guide, we’re sure that you’ll be able to gain new insights into the ways in which your users interact with your ecommerce platform. 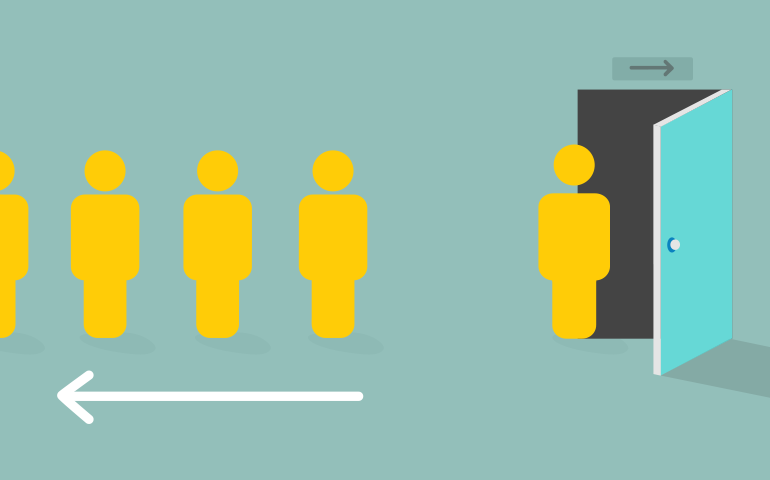 Every time your users interact with your website, they’re exhibiting some sort of behavior. Whether it’s the information that you put into the search box, the first link that they clicked, or the blog post that they read, it’s your job to be recording their every move. Behavioral analytics simply means taking all of that logged behavioral information and making judgements about whether or not certain behaviors lead to certain outcomes. Are users that read reviews more likely or less likely to buy a certain product? What’s the threshold quality for a “bad” review? What about a good one? Behavioral analytics also allows you to create customer journey maps by tying all of your behavioral data to one person. If you’ve unified all of your data, you can see how a user has interacted with your website from acquisition to conversion. From an e-commerce perspective, behavioral analytics also allows you to predict what kind of products your customers would be interested in at specific times of day or times of year. Predicting what kind of products would be interesting to different users from different places in the world — information that you can obtain using cohort analysis — could also be beneficial to behavioral segmentation and conversion predictions. Long story short: behavioral analytics requires a lot of data. How to collect and store that data is harder than it sounds. To make the most of your customers’ user experience information, you need to unify all of your data. 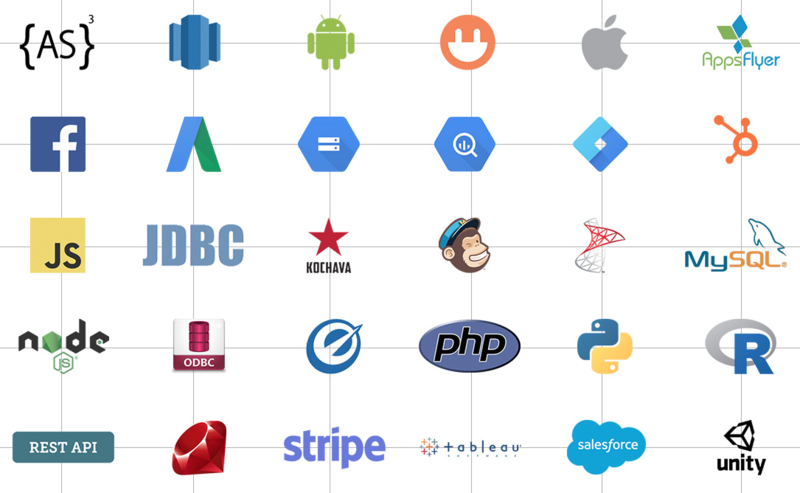 More often than not, e-commerce platforms rely on a lot of disparate data: Google Analytics for website traffic, MailChimp for email outreach, and various ad platforms (Google, Facebook) for acquisition. Needless to say, things can get pretty messy. You could integrate all of this data by hand. Logging in to all of your dashboards by hand, then aligning data by time period can be a pain if you’re just trying to make one report. It’s also pretty easy to make a mistake: data manipulation can be a fickle business. Data warehousing to the rescue! Data warehouses automatically unify all of your data sources, putting all of your data in one location. After your warehouse is up and running, all of the teams in your company can analyze and draw insights from the unified customer journey. Data warehouses can be pretty hard to set up, since there are a lot of moving parts. 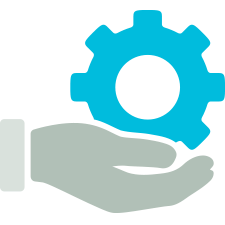 We’ve written extensively about the possible pitfalls of setting up your own data warehouse and the extensive costs that can be associated with building your own solution. 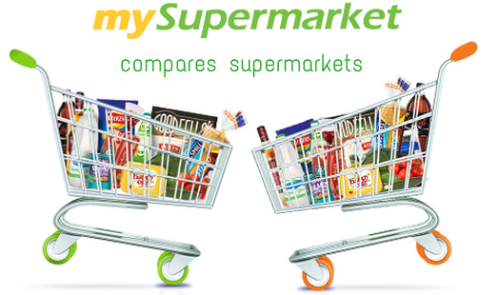 Cooladata’s unification solution worked extremely well for mySupermarket, a price comparison service that lets its users find the best deal on groceries in their area. The warehousing solution offered to mySupermarket allowed them to process billions of events with a customizable behavioral query language. 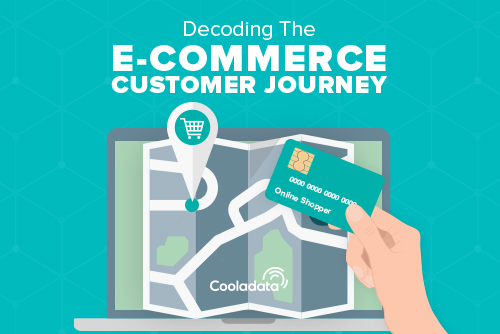 Events were sent automatically to Cooladata’s servers from mySupermarket — no manual entry required. The warehouse was deployed within days and allowed mySupermarket to dig deeper into their customer segments, allowing them to tailor their offering to certain user groups and increasing their conversion in the process. If you want to replicate the success of mySupermarket, you need to set up a data warehouse that can track billions of events. Having a data warehouse solution in place is only half the battle. Now, you need to fill your storage solution with meaningful metrics that will help you track your users’ behavior on your website. 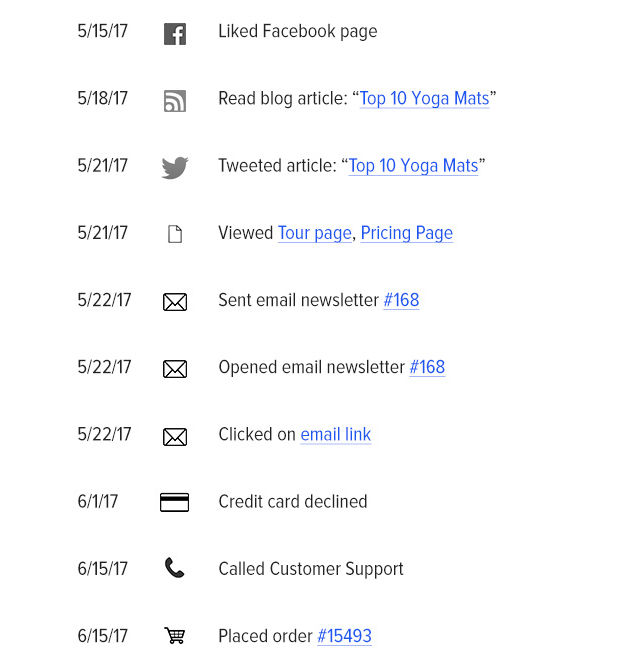 Below is a list of a different variety of behavioral metrics that you can track in order to maximize your conversion strategy. If you track the metrics below, you will more efficiently understand what your users are — and aren’t — doing on your website when they are browsing for new things to buy. 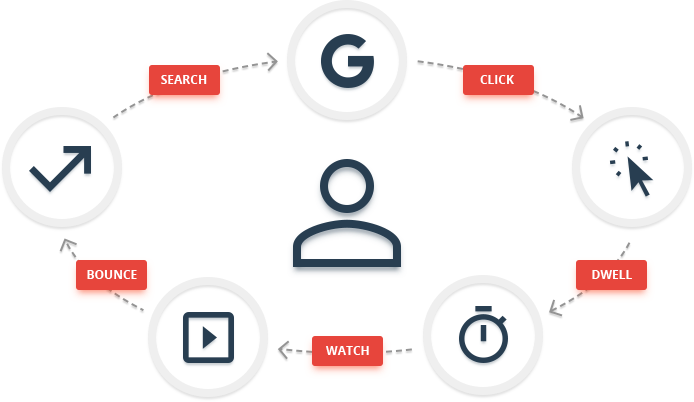 Having properly unified your data, you will find that the metrics below make powerful segmentation groups when you’re trying to assess what kind of behavior leads to conversion. Knowing where your user lands when they get to your ecommerce website is the first priority in any segmentation. Knowing how and why your users navigate your website the way they do might be one of the most profound ways of understanding why the user came to your page in the first place. Where and why users click is another valuable behavioral indicator of engagement that should not be overlooked. While clicking on a link should show up in your page views metric, listed above, sometimes clicks aren’t necessarily only done for navigation. Often times, users will click on images or objects that they think might be interactive, but aren’t. You should be aware of the ways in which you may be erroneously misleading users to think a certain element is interactive but isn’t. Other times, a hover or a scroll might be a signal of the user’s attention — knowing where they’re looking could be a good way to see if your other conversion strategies (such as banners or discounts) are working properly. This one is obvious, but it bears repeating: know what your users are buying. Then, compare their tendency to buy similar objects. Are people that buy cheese more likely to buy crackers as well? Probably — your ecommerce should be ready to go in suggesting to add crackers to the shopping basket as well. If you know how or why the transaction is failing, you are already ahead of the customer. In these unfortunate cases, you shouldn’t see an incomplete transaction as a failure: track this metric so that you can suggest alternative payment options to the customer right away. While browsing your ecommerce platform, a user stumbles on a page that doesn’t exist. How likely is that user to churn? Probably very likely. Knowing how or why this happens on a large sales platform isn’t easy, but it can do wonders in helping you predict and avert possible churns. How people use discounts is also a vitally important metric — it shows you how well your acquisition and retention strategies are working. If you’re sending out a lot of discounts and none of them are being used, your strategy needs a new approach. Data warehousing and behavioral analytics not only helps you understand your customers but it also gives you a fresh look at your own marketing and product strategies. Sometimes, looking at your own progress and tactics can be the true key to success. Are your users engaging with your service using Twitter, Facebook, or another social media platform? If so, that’s a clear sign of engagement: hopefully it means they’re satisfied with your service. Either way, you should be able to record how and when your ecommerce users engage with your social media platforms. Whether it’s in the acquisition or retention stages, their input on social media is a valuable tool for getting to know them better. The six behavioral metrics above are a good first start, but they by no means indicate a complete strategy for making use of a behavioral approach. Since every ecommerce website looks at their users differently, it can be hard to make blanket statements about which metrics are more useful than others. That said, tracking your users’ behavior is a necessary step in improving your conversion strategy. By unifying your data and tracking many different behavioral metrics, you can rebuild the entire user journey for customers that churn and for customers that convert. Metrics are great, but they aren’t the whole story. If you’re not comparing these metrics to one another and seeing how they relate back to conversion or churn, you’re not making the most of your behavioral analytics. A fully-operational data warehouse, loaded up with some of those great metrics that we mentioned above, should give you a clear view of the typical customer journey of your user. But, what is a customer journey? Isn’t that just user segmentation. Not quite — user segmentation is still comparative in the way that it can display two or three different cross-sections into which your users fall into. A true customer journey map displays the whole journey in time, effectively summarizing your customer’s experience with your business. Let’s take an imaginary customer, Jane. She’s in the market for yoga mats, and she first encountered your retailer in a Facebook ad on her newsfeed. She went ahead and clicked, whereby she was put on your Facebook page. She read an article, posted about it, then went to your website for a quick tour. Luckily, she signed up for your email newsletter, and, a week later, you were able to re-engage her. She went ahead and bought the yoga mat, but only after calling customer support because her card was declined. Knowing Jane’s full story is powerful, a lot more powerful than knowing each of the metrics that she was involved in (facebook analytics, email conversion, etc) for all of your customers. If you know Jane’s yoga mats story, you will be able to find out both the strengths and the weaknesses of your conversion strategy and work on both simultaneously. Knowing this info puts you leagues ahead of your competition. You now know where you acquired your conversion, what that converted customer is interested in, and the steps along the way that helped you turn them into a profitable sale. Last Minute Travel (LMT) is a great example of how unifying your various channels and turning them into funnels can bring huge returns. This company, which specializes in offering the best impromptu travel deals to their customers, used behavioral analytics to improve their conversion strategy. By turning their raw data into conversion funnels, LMT was able to identify their most valuable customers using time-series analytics. By calculating the number of emails that cause an uplift in revenue, their new marketing strategy was able to optimize their revenue for each subsequent marketing campaign. Overall, LMT is a great example of how user funnels and unifying your metrics can provide new insights into customer behavior. Sadly, not all customer journey stories are success stories. A lot of users churn, and it’s really important to know exactly why, when, and how they’re leaving your site. You can’t truly improve your conversion strategy without finding out the places where it isn’t working. Are your users being held back by the load times? Are the prices too high and they tried looking somewhere else? What was the last thing they did before leaving? Jane, mentioned in the conversion story above, could have easily been a churned customer. If her credit card was declined and there was no support center to call, she could have easily left for a competitor out of sheer frustration. Luckily, customer support was there and ready to take your call. If you notice, like in this case, that a lot of customers are leaving because of technical malfunctions, an investment into a call center could have huge returns for your business. Each customer interaction in the user journey can leave a clue as to why your user left your platform. Knowing how and why they clicked when they did can also shed light on the weak spots of your platform that may need to be addressed. Ultimately, every customer interaction is important. The more you track, the more likely you’ll be able to construct the “whole story” of how your users interact with your business. Improving your conversions therefore largely depends on your behavioral analytics strategy. By unifying your data and aligning all of your metrics into a consistent narrative, you can harness the power of storytelling in your business strategy. We hope that this white paper has been an insightful dive into the ways in which the data unification, behavioral analytics, and the customer journey can shed some light on your conversions strategy.